The fireplace is your main focul point when enterning your home so let's work together to draw the kind of attention you want. 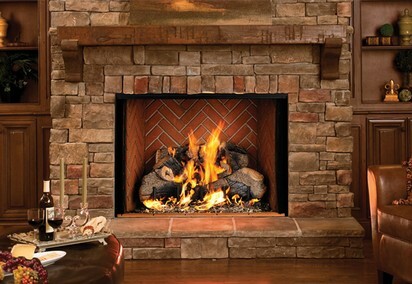 We offer one of the largest selections of fireplaces in Houston. Only dealing with the most respected and trusted brands in the industry. We remove old fireplaces, install new fireplaces, and do complete fireplace remodeling. If you are having trouble choosing a fireplace or need pricing feel free to contact us either by phone or email. It can be a little overwhelming when you go to a fireplace manufacturer's website looking for a fireplace, and they have fifty different models to choose from. Therefore, we have listed some of our best selling fireplaces below. Just scroll down to the best sellers section. Please keep in mind that these are not the only fireplaces we sell. They are just some of the most popular models. If you don't like anything you see under best sellers, try going directly to the manufacturer's website's from the links provided on our home page. With all top vent fireplaces you have a couple options as far as the installation goes. You have an option of the height you would like the unit or box to be installed. You also have the option of having a chimney built or a roof flashing on your roof. 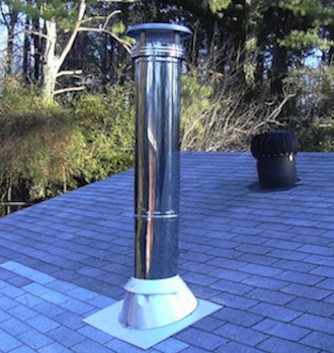 A chimney on your roof is more durable and nicer looking while a roof flashing is less expensive. If a chimney is built you will need a chimney chase top. 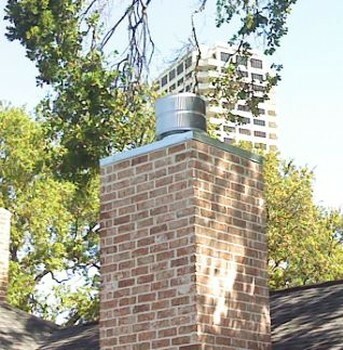 A metal cover that covers the top of the chimney with a hole in the center. A roof flashing is a cone shaped metal flashing that goes under your shingles with a hole in the center for the pipe to come through. Installing with a roof flashing means you see the exposed chimney pipe on the roof. The Accelerator is a nice entry level wood burning fireplace. This is a great fireplace for those who want a nice wood burning fireplace, but are on a budget. All wood burning fireplaces have the ability for a gas line to be run directly into the fireplace which will allow the fireplace to work with aftermarket gas logs should someone wish to purchase gas logs, and have them installed later down the road. Wood burning fireplaces must vent upwards, and have a very minimal amount of bends that you can do with the venting components so they can typically only be installed in situations where a chimney is going to be built on the side of the home, or on situations where there is nothing but attic space above where the fireplace will be installed. For instance you wouldn't want to install it on the first floor of a two story home because the chimney pipe would have to go straight through the room above it. The Slimline is a very nice entry level gas fireplace. 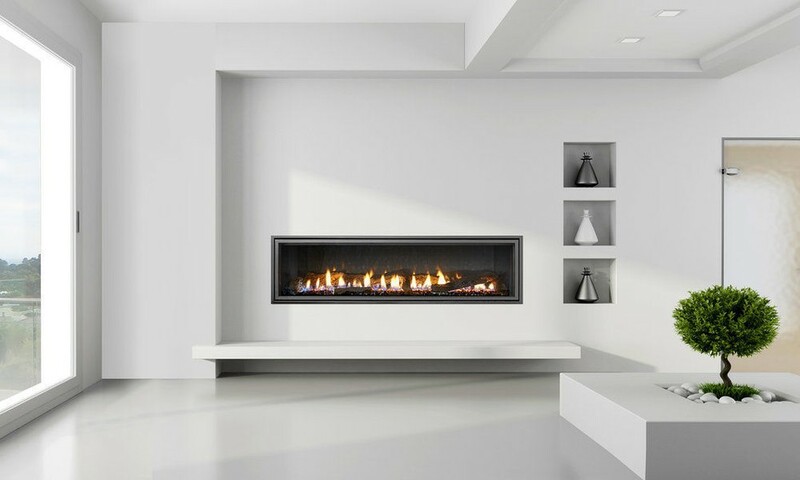 It is not only affordable, but it is one of the slimmest gas fireplaces on the market. It only requires 16" of depth for installation which allows you to take up minimal amount of space into the room, or install it in situations where minimal amount of depth is needed. Gas fireplaces like the slimline can also vent directly through the wall which allows it to be installed in situations that a wood burning fireplace could not, such as on the first floor of a two story house where there is a bedroom upstairs, and would desire not to have fireplace chimney pipe going straight through your bedroom. This fireplace will turn on/off with a wall switch or optional remote control. The Icon is a nice mid level wood burning fireplace. It is a great fireplace for someone who wants a larger sized wood burning fireplace, but also wants to stay moderately conservative with their budget. The 8000 Series is a nice mid grade gas fireplace. It is similar to the slimline in looks & function, but it is larger, puts out more heat, and has more options available such as more fronts that can alter or change the appearance, and the option for LED lighting. It will turn on/off with a switch on the wall, or optional remote control, and is moderately priced. If you would like to look at additional options that are available for this fireplace please go to the manufacturers website. You can find links on our home page. The Mezzo is our best selling contemporary gas fireplaces. This is the best fireplace on the market if you are looking for that modern clean look. It is shown here with a clean face front, but has several different style fronts available, and comes with LED lighting built in. It also offers an option for reflective panels to go inside the fireplace, and comes standard with a remote control. Chimney Pro provides service to the greater Houston area including Katy, Pearland, Sugarland, River Oaks, Richmond, Rosenberg, Cypress, Spring, The Woodlands and many more. Pricing and fees may change depending on how far chimney pro is required to go in order to perform service.